For a few days in a row we are going to look at recent releases from the great of past years. Another self portrait is the next in line. The first two albums of this Bootleg Series no,10 set were reviewed before on this blog (click here). In this post we focus on the additional cd with the show Bob Dylan and The Band gave at the Isle of Wight festival in 1969. Any one who's read Ian Bell's biography on Dylan knows that Dylan came to the Wight festival for an amount of money that he probably doesn't even do a single show within a whole tour any more. At the time it was an amount that got Dylan out of hibernation for a one off. Through the years generations of Dylan fans have read about this legendary show, but never heard it. What the impact was, can't be recreated in an official release. Only the people who were there can tell you. Remember this is only three years after the "Judas" incident in Manchester. In the time after Dylan has become a rockicon and a recluse. Putting out records at a steady pace, that go off in many direction, but seldom seen a a stage. Having left (blues)rock behind in 1966, Dylan explores other forms of music. Singer-songwriter songs with strong imagery in his lyrics of biblical proportions, as well as folk and country, showing influences from his teen years listening to radio shows in his Hibbing, Minnesota boys' room. All culminating into the abhorred 'Self portrait' in 1970. That is where Dylan is at in the summer of 1969. So where was Dylan at live in 1969? The show starts very hesitant. The Band seems insecure, almost as if the members do not know which song to start. It is Dylan who brings it all together. leading The Band into 'She belongs to me'. From the very first beginning Dylan is playing with and within the melody of the singing, sometimes changing chords or adding one, making the song just a little different than expected. Listen to what he does with 'It ain't me, babe'. The Band is off stage by then or listening to Dylan going into his solo songs from the cherished folk days. A bit rusty in playing but very intimate and delicate in his singing. He wants to sing and please it seems. 'To Ramona' is a gem in this version. When he kicks off 'Mr. Tambourine man', the audience is cheering loudly by then. Totally pleased. So the impact seems to be considerable. The Band returns with 'I dreamed I saw St. Augustine'. No one is booing. The audience knows where its Dylan is at. Happy that he's back on stage. The shock'd worn off. Together they go into what can now be called a greatest hits show, including 'Lay lady lay', one of Dylan's more beautiful love songs. It starts of in the wrong key, but it gets together quite fast. A fun version of 'I'll be your baby tonight' is thrown in as well. 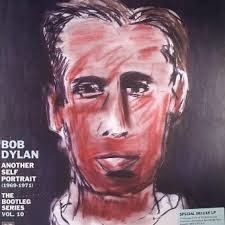 What is one of the better treats of this album is the harmony singing of Dylan with Levon Helm. His rough voice, ages older than his then only late 20s age. Even rougher than Dylan's. Together they sound very special. The Band as a whole serves Dylan here to the best of its ability. Knowing Dylan, rehearsals may have been on the plane flying into the U.K. The piano of Richard Manuel and the organ of Garth Hudson work extremely well together. The latter sounding almost funky in 'Mighty Quinn'. The rock side of Dylan is flashed out on 'Highway 61 revisited' and 'Like a rolling stone'. 'Mighty Quinn' is a nod to Dylan and the Band's 'Basement tapes' recordings, then not released for another six years. It all ends with the carnival song 'Rainy day women #12 & 35'. By then there is a simple conclusion possible. Dylan came, saw and won. This show, considering it was not a routine one, delivers the many sides of Bob Dylan in one show. A Dylan who had by then been recognised and embraced by his audience for the (divers) genius he was. A Dylan that would baffle the world soon with the horrible 'Self portrait' and baffle it again with 'Another self portrait 43 years later. This show was released for all the right reasons, as it lets Dylan and The Band at its best. You can listen to 'I threw it all away' here. What can a poor boy do? Start saving for the European spring tour 2014! There's no doubt in my mind that The Rolling Stones will follow Australia and probably Asia with Europe. As a warm up present the band released Sweet summer sun, the double cd and dvd registration of the two shows the band played there this summer. Yes, I promised never to go to another Stones show again, never to buy the umpteenth live registration again. But I did and I'm sure that I will be at the 50 and counting tour. The Rolling Stones are too much a part of my system, it looks like it is unavoidable. The investment in Sweet summer sun is worth every penny. As I already tweeted: "I just sat there watching, inwardly singing along, with a big smile on my face the whole way"
The band members make comments in between the songs or as introduction. There's no footage of that in the movie, which is o.k. The audience makes up for that perfectly, showing the party it was in Hyde Park. It would have been nice as an extra though. The extras are three songs, among which 'Paint it black', one of the Stones' best songs. The comments are telling about all four. The best one? "To me this is just work", told with the voice of a pensioner. Charlie Watts drums fantastic by the way. The other comment is "Timing is everything". And the cycle of Stones activities since the end of 2012 was flawless. Or better, the autobiography of Keith Richards: "Now they will never play again". Sure. 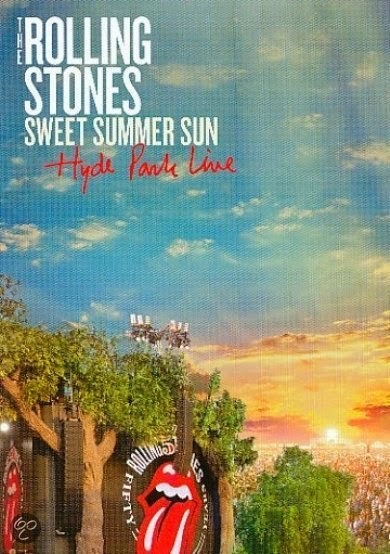 Everything was aimed to make the world ready for a huge Stones party. And viewing Glastonbury and Hyde Park it's clear the U.K. was ready for this party. As is the rest of the world. Or "It's like coming home, if you have one". About a year ago I wrote about the latest Stones single 'Doom and gloom'. I liked it and one year down the road I have to conclude that the song fits perfectly in this set. It is a good, decent song, with a great chorus, sung so well by Fisher and Fowler. It rocks and has soul. A late Stones classic? It seems like it. It also proves that it's time for more new songs. I keep telling it (as with the BBC album. Come on, guys. We've been waiting long enough for that.) With the exception of 'Start me up' there's nothing past 1980 in this set. Not even 'Saint of me', another modern Stones classic as far as I'm concerned. For the rest it is close to a dream set on offer. 'Sympathy for the devil' is played more traditional then it was for quite some time. Close to the 'Beggars banquet' version. Neat and clean. The stage all red. Like hell itself. In 'Honky tonk woman' Jagger wears the dress thing he wore in 1969(!). Three out of four seem to have the same figure as then. It's Keith who's healthy and looks like a regular grandfather, though with the hair and face of a scarecrow, but his belly's up front as grandpa's go. 'Ruby Tuesday' is another song that gets a great rendition. Just a fantastic ballad. Lisa Fisher gets centre stage, 100 feet in front, in 'Gimme shelter'. Even Jagger stays away for a while. Daryl Jones shows his craft in 'Miss you', Bobby Keys gets many a solo. Keith does 'Happy', his best Stones song, period. And I can go on and on. Ronny Wood and Keith Richards weave their guitars like they do, making up the guitar sound of The Rolling Stones. Just listen the way they play in 'Miss you'. Simply the best disco rock track ever. And Jagger? What can I say. His face is older, but he's there as energetic as ever, singing great. There are some beautiful shots in Sweet summer sun. The four guitarists in a line in 'Midnight rambler', Lisa Fisher as a bird spreading its wings walking down the aisle. Charlie smiling like he's enjoying his job. The choir starting the encore in 'You can't always get what you want'. Great shots from the audience, that is surely enjoying itself. The sky turning purple. The smiles and mischief on Keith's face. He's in his natural habitat, that's quite clear. Let's face it. Sweet summer sun surprised me. This band is still so good. Older, a bit more rheumy, but can rock like crazy. Worth every cent. So when are the tickets going on sale? P.s. I wrote this post on Sunday 24 November. On Monday the newspaper announced that Mick Jagger will be a great-granddad in 2014. So it will be (great-)grandads rocking. Wow. For a few days in a row we are going to look at recent releases from the great of past years. On air is the first of these. On air is an album that shows a main aspect of The Beatles as they were in the first phase of its career: the show band they used to be in Hamburg on or near the (in)famous Reeperbahn. The redlight district where the band performed for long nights in a row and made its 10.000 hours to grow into complete proficiency on the instruments. Of course some of the hits were played in these radio shows on the BBC, but mostly The Beatles' songs from its albums and the many covers the band played in Hamburg. The songs that all the bands played those days and many a cover band specialising in 60s music for parties play to this day. The period till roughly 1965 is not my favourite The Beatles period. Sure, there are great songs, fantastic hits The Beatles scored, but it is not the period that made the band unique for all time. It's the period that led to that. 'Yesterday' the 1965 #1 hit is the watershed single as far as I'm concerned. It is just about the last single my late aunt liked, backed by the last cover the band released on single, 'Dizzy miss Lizzy'. I remember I always wanted to hear that side (and my aunt didn't). It is after 1965 that the fun really started ending it all with the best album the band made: 'Abbey Road'. 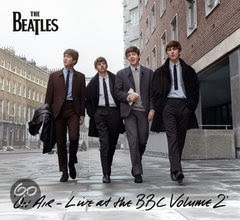 On air is the rendition of the radio shows the BBC made with The Beatles after its major breakthrough in 1963. The band got its own radioshows in which they read requests, had small conversations with the host of the program, answer small questions. The first real teenybopper band, attracting young (female) fans around the country in 1963 and from 1964 far beyond. The show is also a showcase of the work ethic of The Beatles. Playing live in the evenings, travelling in the small van at night, recording in Abbey Road and at the BBC in the morning and early afternoon. What On air also shows, is that the BBC recording sessions were taken very seriously. Despite that the voices in some songs sound a bit worse for wear, there is no holding back. The fans at the radio set get the best that is on offer. The quality of the versions depend on the conditions under which the recordings were found. Most at the BBC, some with fans who still had a home recording of a show. There are not to many songs I hadn't heard before, but to have them on a new record set together, is a treat even after the band split 43 years ago. Just as a thought, it's amazing that a band that isn't around any more for such a long time, has such a rate of new records being released. Every other Christmas there's another treat for the fans. Although I can't imagine what ought to be next, I let myself be surprised in 2015. On air won't win The Beatles new fans, but old ones will not be disappointed. This is The Beatles at its best, playing the songs they loved playing at the time, songs that they couldn't play in the short live shows they played at the time. Not all songs are particularly personal favourites, but give a great overview what songs the average teenager and early twen listened to around 1960. It doesn't get much closer to that than this. What the cd also allows for is showing how becoming a Beatle changed the life of e.g. John Lennon. In a bonus interview questions on the size of a home, his first Rolls, how fans impacted his life are asked. Everyone who's read something about The Beatles (or just watched some footage of the fans' behaviour) can know how this must have impacted the lives of these four young men. Hearing it first hand, makes it just a little bit more personal. You can listen to 'If I fell' here. Het zou een sentimentele avond worden, immers het laatste optreden van Kane in het oude Tivoli aan de Oudegracht. Begin volgend jaar sluiten de deuren en verhuist Tivoli naar het nieuwe muziekverzamelgebouw aan het Vredenburg. Het werd echter eerder een merkwaardige avond, hoewel de band daar niets aan kon doen. Want de jongens hadden er zin in en speelden super. Dinand en Dennis hebben een stel jonge honden om zich heen verzameld die de kans om op een groot podium te spelen met beide handen aangrepen. Dat bleek dan nog eens extra in de gitaarsolo’s en de mooie drumsolo, waarbij overigens ook Dinand op een gegeven moment meedrumde. De beide Haagse heren deden niet voor hun muziekmaten onder. Van Leeuwen speelde geconcentreerd en strak, terwijl Woesthoff maar met de zaal bezig bleef om het beetje tamme publiek tot meezingen en lawaai maken te bewegen. Dat lukte ook zeker wel. Maar het was niet alles rockfan wat zich naar het uitverkochte Tivoli had gespoed. Voorbeeld: pal voor mij bevonden zich een moeder en dochter beiden toegerust met een enorme damestas. Dan heb je het volgens mij geheel niet begrepen: prima voor in het theater of bij je gereserveerde stoel in de Ziggo Dome, maar niet midden in het publiek in een clubcircuit-zaal. En om er dan direct een andere, meer algemene, ergernis uit te gooien: kan iemand mij uitleggen waarom al die mensen constant staan te praten in plaats van naar de muziek te luisteren? Blijf dan lekker thuis. Maar goed, dit allemaal buiten Kane om. De set was een mooie mix van nieuwe en oud, en bestreek bijna al hun albums. De nummers van de nieuwste, Come Together, hielden zich ook prima. Zeker het titelnummer. Klassiekers als Rain Down, Shot of a Gun en No Surrender werden mooi gespeeld. Het laatste was erg grappig. De blonde dame die het liedje mocht meezingen (niet dat zij dit kon, maar dat gaf niet) werd op zijn Haags afgezeken door Dinand en werd na een paar keer grappig doen inderdaad figuurlijk ‘het podium afgepleurd’. Het publiek moest er trouwens ook aan geloven. Toen het applaus voor de gitarist te mager was in Dinand’s oren riep hij uit: ‘kom op nou Utrecht, die gozer staat hier de ballen uit zijn broek te spelen, kom op met dat applaus’! Het noodlot deed zich eerst voor bij Here Comes the End, de geluidsinstallatie begaf het. Ben zelf denk een keertje of veertig in Tivoli geweest, maar dit had ik nog niet eerder meegemaakt. Het duurde ook best lang voordat het gerepareerd was. Juist op het moment dat Kane weer op het podium stond en besloten had een akoestisch nummer te improviseren (op zich al erg professioneel natuurlijk), kwam het geluid terug. Woesthoff slaagde er fantastisch in om de sfeer weer heel snel in de zaal te krijgen. Tijdens Where do I Go Now ging het weer mis. Een paar meter voor mij viel een oudere man om, naar later bleek viel hij gelukkig alleen flauw. De band hield direct op met spelen toen zij het zag en Dinand kwam van het podium af om polshoogte te nemen. De sfeer was natuurlijk toen echt aangetast en het bleek het een-na-laatste nummer van de avond te zijn geweest. Ondanks de pech een prachtige avond, met een Kane in topvorm. Wow! Breath deeply for a moment. Let me gather my breath here. What a record Shangri La is. Yes, I did like Jake Bugg's first album last year, but what seems to have happened here is that this youngster from the U.K. has made a giant jump into new registers of his songwriting and performing capacity. We are all roughly one year down the road and Bugg comes up with a record like Shangri La, after touring relentlessly for a year. He shows a lot of the promise 'Jake Bugg' seemed to offer, a jump not unlike his heroes, The Beatles, made in 1963. Shangri La is the title of one of my most favourite The Kinks singles, released in 1969. Finally a chance to mention it mention in a post. Go and listen to it. The link is also below. The Kinks' finest has not much to do with what is on offer on Shangri La. 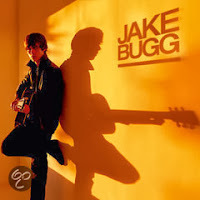 There is some Arctic Monkeys influence left, some Oasis, a smatter of psychedelia, Led Zeppelin, Fleetwood Mac mach I, but Jake Bugg kicks off as the young Dylan who's just gone electric. The same bluesy music, the same sort of sneer in his voice, the same intensity. 'There's a beast and we all feed it' starts acoustic. "Stop", one new line and the electric guitar kicks in, hand claps punctuating the urgency of 'There's a beast ...'. The song is so fast, has so many words, words that fly around all over he place, that I just didn't realise this songs clocks in at 1.43. What a way Jake Bugg opens his second album. Confidence, urgency, happy to share his new songs, it's all in there. The fun simply continues as the fast riffing that announces 'Slumville sunrise'. Fast country rock style guitar playing. If you thought 'Lightning bolt' was good, listen to 'Slumville sunrise'. This song shows the growth of the now 19 year rocker from Nottingham. A great up tempo guitar solo graces the song, but is over before I know. Again so many words and like Dylan they shoot over all metric rules, but are spat out with flawless timing in the right place. Not all is up tempo on Shangri La, but Bugg again pushes in the pedal deeply on 'What doesn't kill you'. The fine line between rock and punk is explored successfully. Listen to the way a fuzzed bass underscores certain parts of the song and disappears again. Such a small, but great effect. There's some The Undertones and Buzzcocks in here. A sure live favourite, exciting and a straight invite to pogo. Again fast and short, 2.09. It's only in the fourth song that Jake Bugg shows us his more mellow side. There are the elements of singer-songwriter in 'Me and you', a song that holds a perfect line between melancholy and urgency. With a beautiful turn in the song, that shows the prowess of Jake Bugg's songwriting. 'Messed up kids' goes one layer deeper. Kids that sell themselves, drugs or whatever on streetcorners. This is only the lyric. The music is so compassionate and warm, that I'm amazed by the effect of the song as it evokes the pictures vividly. At this point we are only five sings into Shangri La. 'A song about love' is next and also here hearing is believing. It's time that I leave you listener, so that you can find the time to start checking out Shangri La yourself. Jake Bugg is two albums under way, but hearing his latest album and only within one year after his debut, it appears I'm a believer. Jake Bugg is a serious talent, there's no other conclusion possible. Rest me to complement Rick Rubin with his clear production. Rubin stripped down to the essentials and lets us listen to Jake Bugg in his full glory. A producer who sets his own ego aside to let the artist shine. You can listen to 'What doesn't kill you' here. The Kinks' Shangri La here. Het Nederlandse label Snowstar Records bestond eerder dit jaar 10 jaar en heeft in die 10 jaar een respectabel aantal prachtplaten uitgebracht. 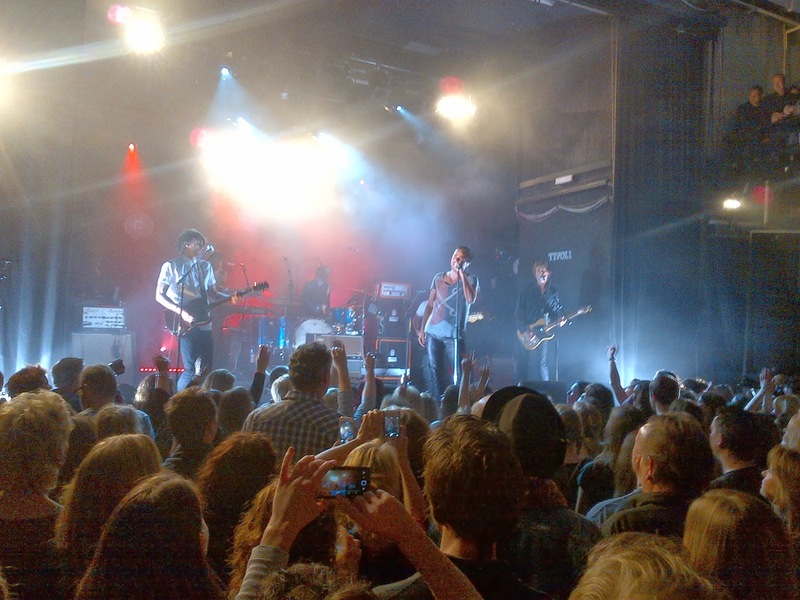 Na krenten uit de pop van I Am Oak, Lost Bear, LUIK, The Secret Love Parade, Kim Janssen, Herrek en Bart van der Lee (binnenkort op deze BLOG), komt het label nu op de proppen met de band Town Of Saints. Something To Fight With is naar eigen zeggen de meest ambitieuze release van het label tot dusver. Daar is, ondanks al het moois dat het label al op haar naam heeft staan, veel voor te zeggen. Luister naar het debuut van de gedeeltelijk Fins en gedeeltelijk Nederlandse band en je hoort een debuut van wereldklasse. De muziek van Town Of Saints heeft lak aan hokjes en conventies en laat steeds weer een net wat ander geluid horen. 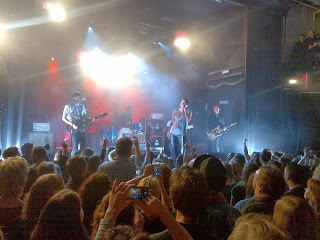 Bij de grootste opener denk je nog even met een serieuze concurrent van Editors te maken te hebben, maar in de tracks die volgen verrast Town Of Saints net zo makkelijk met opzwepende folk waar Mumford & Sons waarschijnlijk jaloers op zal worden als met uiterst ingetogen Keltische folksongs of juist springerige indie-rock die doet denken aan The Arcade Fire. Het zijn grote namen die opduiken bij beluistering van het debuut van Town Of Saints, maar de band rond zangeres en violiste Heta Salkolahti, zanger en gitarist Harmen Ridderbos en drummer Sietse Ros kan iedere vergelijking aan. De band krijgt dit voor elkaar omdat geen van de vergelijkingen lang stand houdt. Town Of Saints springt zo makkelijk heen en weer tussen uiteenlopende stijlen dat je nooit langer dan één track dezelfde naam noemt. Wanneer je Something To Fight With eenmaal een paar keer hebt gehoord vergelijk je helemaal niet meer en accepteer je dat Town Of Saints met Something To Fight With een uniek debuut heeft afgeleverd. De band doet dit niet door echt nieuwe ingrediënten te gebruiken, maar ook een opvallende combinatie van bestaande ingrediënten kan iets van grote klasse opleveren. Town Of Saints heeft een debuut gemaakt dat meerdere uithoeken van Europa bestrijkt, maar ook volop raakvlakken heeft met muziek van het Noord-Amerikaanse continent. De onderkoeling komt uit het hoge Noorden, de passie uit Ierland, de experimenteerdrift uit Canada en het gevoel voor schaamteloos meeslepende popmuziek uit Engeland en de Verenigde Staten. De Nederlandse en Finse eigenzinnigheid doen de rest. 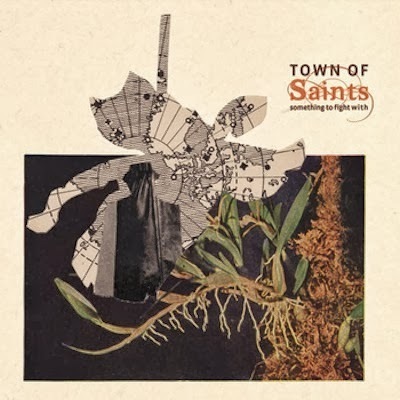 Town Of Saints beschikt op haar debuut over een aantal bijzonder sterke wapens. Zanger Harmen Ridderbos heeft een mooie en herkenbare stem en combineert deze met steeds weer net wat anders klinkende gitaarloopjes. Violiste Heta Salkolahti slaagt er in om de temperatuur zo af en toe flink te laten dalen met stemmige klanken, wat fraai contrasteert met de meer toegankelijke momenten op de plaat, terwijl drummer Sietse Ros er keer op keer in slaagt om het geluid van Town Of Saints te voorzien van flink wat dynamiek en spanning. De optelsom van dit alles is een plaat die onmiddellijk indruk weet te maken, maar vervolgens nog lang weet te verrassen. Als een Engelse of Amerikaanse band met een debuut als Something To Fight With op de proppen zou komen zou het wereldwijd superlatieven regenen. Town Of Saints zal het waarschijnlijk moeten doen met wat minder, maar verdient veel meer. Het debuut van de band behoort absoluut tot de meest indrukwekkende debuten van het moment en gaat de komende tijd nog heel wat feestjes en donkere avonden opluisteren. Let maar op. Je kunt hier luisteren naar 'Carousel'. It's been a while, so lets do another new psychedelia album. 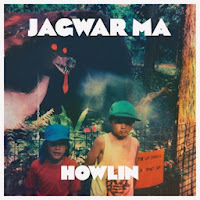 This time it is Howlin by Australian trio (or duo depending on the Wikipedia version) Jagwar Ma. The trippy sounds on Howlin refer as much to The Happy Mondays and The Stones Roses as at its far outest as 60s experimental psychedelic music. Jagwar Ma combines this with modern beats. The singing is "real" singing, with some nice harmonies. Dreamy is the right description. There is not so much a tight focus in the singing, but it fits this music like a glove. Jagwar Ma consists of Gabriel Winterfield on lead vocals and guitar, Jono Ma on guitar and everything electronic and Jack Freeman on bass and backing vox. The band releases singles since 2011, but Howlin is its first full length cd. The recording mostly was done by Ma, with singer Winterfield. Rhythm is a firm basis for Howlin. (Digital) beats are underneath everything, with the bleeps and other sounds that make up the limbs of the song. Over all this Winterfield at times more chants than sings. Lines are near endlessly repeated, like he's trying to put us in a trance ('The throw'). 'That loneliness' is more song oriented. More poppy also. The beat here is an undiscoed Michael Jackson ('Beat it'), the song is another variation on trance singing. The lyric is different, the melody is not that important in 'That loneliness'. The end is repetition again. When we go past this Madchester influence it possible to discern influences of The Beach Boys, Syd Barrett's Pink Floyd and pop songs from The Tremeloes to American Breed. With one major difference that the elements are there, but Jagwar Ma never reaches that level of perfection. It doesn't attempt to. The songs on Howlin are aimed more at effect than to reach perfection. This is where the dance element comes in. Jagwar Ma obviously has or wants to build a relation with the dance floor. Most songs on Howlin are not songs in the 60s traditional sense. They are too much looped, to fragmented to score as a perfect pop song. It is possible to dance to most of the songs in a trippy, hippy kind of way. A song like 'Four' is pure effect, with the least song elements in there. Samples and loops, strange bleeps go around over the beat. Just imagine the fluid projections in the background and go off. This is also the reason that at times I have a hard time listening to Howlin. And then 'Let her go' starts and I warm all over again for Howlin. It proves that Jagwar Ma can completely write a very nice, trippy pop song. It has great harmonies, fine twists and a few perfect lines in there. India has not passed Jagwar Ma by as well. Perhaps not so strange with an Indian sounding name, apparently a combination of a jaguar painting and Jono's last name. 'Man I need' has a very The Beatles/George Harrison structure with The Stones Roses' flying rhythm. This last element comes back regularly. Even the bass pattern sounds very familiar in 'Exercise'. Enough small bits and pieces of many years of pop music. In the last two songs the mood goes down. 'Did you have to' and 'Backwards Berlin' are these dreamy songs, slow and melancholy, that brings out the best in Jagwar Ma. Brian Wilson's influence is largest here. It shows that Jagwar Ma perhaps doesn't know yet what it really wants to be. The positive side is that they dare to experiment with different styles, with a hint at its own sound. Quite a feat for a first album or is a first album the opportunity to experiment as there are no expectations? Taking it all in, I'm not sure yet which way Howlin is going to go with me in the longer run. For now it is an off and on affair. Intriguing though Howlin is, it is not always my cup of tea. It has many elements that are, but as a whole Howlin will just have to prove itself to me over time. You can listen to 'The throw' here. Er zijn de afgelopen weken zo idioot veel goede platen verschenen dat er helaas ook bovengemiddeld goede platen tussen wal en schip dreigen te vallen. Nepenthe van Julianna Barwick valt zeker in deze categorie. De plaat verscheen op dezelfde dag als de nieuwe plaat van Julia Holter, die enigszins vergelijkbare muziek maakt, maar op één of andere manier veel meer aandacht weet te trekken. Julianna Barwick verdiende deze aandacht al met het prachtige The Magic Place dat in 2011 verscheen, maar deze vooral met haar stem gecreëerde plaat werd door de meeste muziekliefhebbers toch te moeilijk bevonden. Ook Nepenthe is zeker geen makkelijke plaat. De plaat staat vol met sprookjesachtige vaak bijna klassiek aandoende muziek die voor een belangrijk deel wordt ingekleurd met de uit heel veel lagen bestaande zang van Julianna Barwick. De term zang moet hierbij nog enigszins gerelativeerd worden, want Julianna Barwick gebruikt de vele klanken in haar stem vooral als instrument. De soms zwaar aangezette maar over het algemeen atmosferische muziek op Nepenthe heeft wel wat van Sigur Rós (wiens producer Alex Somers achter de knoppen zat voor deze op IJsland opgenomen plaat, waarna ook Sigur Rós zanger Jónsi aanschoof), van de dromerige muziek van Cocteau Twins (ook al niet bekend om de meest gangbare vocalen) en van de al eerder genoemde Julia Holter, maar het grootste deel van Nepenthe bestaat toch uit muziek die zich nauwelijks laat vergelijken met die van anderen. Voorganger The Magic Place was al geen aardse plaat, maar het werkelijk prachtig opgenomen Nepenthe (wat een verschil met The Magic Place dat toch vooral een knap in elkaar geknutselde plaat was) klinkt nog veel zweveriger en sluit naadloos aan op veel andere muziek uit het hoge noorden. 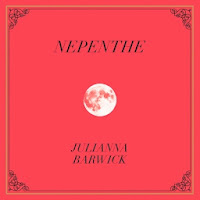 Op Nepenthe verwerkt Julianna Barwick het verlies van een dierbare en dat is goed te horen. De plaat heeft een donkere en hier en daar zelfs bijna beklemmende sfeer en past beter bij de zware regenbuien van de laatste dagen dan bij de zomerdagen die we vorige week nog cadeau kregen. Waar Julia Holter op haar nieuwe plaat toch voorzichtig opschuift in de richting van songs met een kop en een staart, verliest Julianna Barwick dit type songs voorlopig helemaal uit het oog. De ambient achtige muziek op Nepenthe moet het niet hebben van herkenbare melodieën en aanstekelijke refreinen, maar betovert je langzaam maar zeker met wonderschone klanken van elektronica en strijkers, een hele bijzondere sfeer en het unieke stemgeluid van Julianna Barwick. Ik geef eerlijk toe dat ik Nepenthe in eerste instantie mooi maar deprimerend vond, maar inmiddels word ik toch vooral betoverd door het unieke geluid van de plaat en laat ik de fantasie eindeloos prikkelen door de donkere wolken die over waaien. Geen plaat voor alle momenten, maar zo op zijn tijd verricht Julianna Warwick met Nepenthe echt wonderen. Je kunt hier naar 'One half' luisteren. A cover that graces the world of man and the world of fantasy, even if the last part is made up out of building blocks and empty space, suggests something not average, not out of the ordinary. Emiliana Torrini already had my hopes up before I had heard a note played. And listening to Tookah again and again, being intrigued and pleased, it's about time to admit that she delivered on this promise. 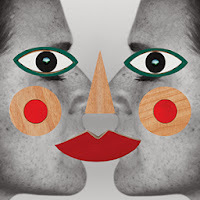 Emiliana Torrini is, believe it or not, of Icelandic decent, with an Italian father. She already has a whole career behind her, that I missed every note of. Tookah is my introduction to the Icelandic singer, who for over a decade lives in London. Iceland is known for its legends and vulcanic landscape. Something of this mysticism has certainly found its way to Tookah. The music on Tookah is small, sober and almost hidden away in the background. That is not to say that it is boring as the above may suggest to you. To the contrary. Tookah holds adventure and surprise. Emiliana Torrini may sing subdued, the music going on behind and around her is playful. There is no more than necessary to set the stage and atmosphere. Not very unlike the latest of Goldfrapp, 'Tales of us', where Erwin Zijleman reported on recently on this blog. Tookah walks a thin line between electronics and organic music. Between a cool, mechanic voice and a warm one. She does not really seem to have made up her mind where to go, most likely not wanting to. Both approaches suit her. Dan Carey produced the record in a very balanced way. Modern, slow beats under some distinct 80s sounds with pure, acoustic moments for contrast. Most songs on Tookah, I found some interesting descriptions on what this word means, have a mystical element. Suggesting there is more to come than there is, more than we can hear. Like there were musicians playing along, just around the corner, that Carey forgot to record. It is also in the soft singing of Emiliana Torrini. Subdued, but with hidden layers of emotion. The sort of mysticism that surrounds Kate Bush's latest records. Tookah is an album that has to be listened to with concentration. Not much remains of the atmospheric music and melodies should you play this music in the background. The album is over without noticing it at all. Played however on the headset, all sorts of delicate sounds prevail, slowly sucking me into Tookah, song by song. The only way for Tookah to reveal all of its inner beauty. That makes this album one that is not for all circumstances. Enjoy it at the right time of the day listener and most likely you'll find out what I mean. You can listen to 'Speed of dark' here. 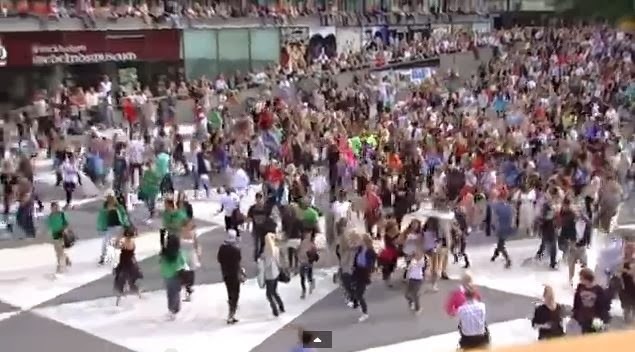 We all know what a flash mob is. It’s a group of people who assemble suddenly in a public place, perform an unusual and seemingly pointless act for a brief time, then quickly disperse, often for the purposes of entertainment, satire, and artistic expression. But have we ever seen one? I know that in my hometown of Sweet Lake City (Zoetermeer), there is at least one per year for promotion purposes. I’ve always wanted to be part of one but I never saw any of the announcements for it. I’ll keep watching out. I’ve even never seen one live, but I’ve enjoyed a few on YouTube. And for some reason, though I’m not a Michael Jackson fan at all (there have to be some), the flash mobs after his death got my attention. It was 2009 and the filming of those events was not that professional. I especially enjoyed the ones in Stockholm, Sweden and Paris, France got my attention. And I even started to like some of Michael Jackson music afterwards. Over the years the filming got better, it’s gotten commercial and even used for completely different occasions like a marriage proposal (although I believe those things also happened before but without the name flash mob). Recently I saw a new one that really moved me and in case you haven’t seen it, I would love you to. It’s a classical performance of a part of Beethoven 9th and a great one. Mark Lanegan, once famous through the band he fronted in the days of grunge, Screaming Trees, for years now has gathered fame through a multitude of collaborations with other bands or artists. In 2013 he has already released an album, 'Black pudding' with Duke Garwood. Now there's one full of covers from decades past and closer to our time. If I have to use a word for this album, I can’t come up with a better one than the Dutch “zeiksnorren” album. Let me ponder on a word that corresponds with it in English here. 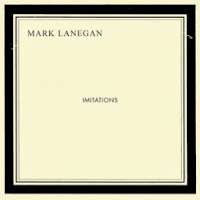 Imitations would be unlistenable were it not that Lanegan sings great and the accompaniment is done in great taste. Imitations is at its fastest a mid-tempo ballad album. Most songs even slower. Lanegan even sings one song in French ‘Elegie Funebre’, a point where the album really keels over, to land on its feet further on. Imitations is a delicate album. Purely aimed at the mood. The question is, why did Mark Lanegan want to make an album like this? Why go into the soft side of pop? E.g. ‘Lonely street’ should have been sung by the likes of Tom Jones in the 1960s. It has nothing to do with the rocker, Mark Lanegan is and a dangerous one at that. Mark Lanegan is usually able to make one's skin crawl with his dark, gravelly whiskey-sour voice over the right spooky music. So where does this side step come from? It looks like he loves these songs, some he grew up with as a kid and always loved them. And wants to show the world he can sing (them). Does it take a better reason than this? Guess not. On Imitations Mark Lanegan keeps things extremely sober. There are no more instruments is sight than it takes to make a song come alive. Some light female background voices. Lots of strings as these sort of ballads need. So what are we talking about? The song which is the opposite of the modern war cry of youth: “YOLT”. The old Bond theme song, once sung by Nancy Sinatra comes alive here in an even darker way. One of the best songs on Imitations is ‘Solitaire’, the Andy Williams song. ‘Autumn leaves’ is another one (more Andy Williams), in which Lanegan really hits jackpot, in this totally schmaltzy song. I guess this is the right description for the Dutch word I introduced the album with. The album starts with ‘Flatlands’ (Chelsea Wolfe), a song which comes closest to what Mark Lanegan usually does. It sets the mood of the album, but also gives a wrong impression. ‘Flatlands’, with its almost looped guitar motive with a bent note for emphasis, could still announce a regular Lanegan album. O.k, in the second part of the song there are a lot of strings, but still. It doesn’t prepare the listener for what is to come. ‘She’s gone’ (Vern Gosdin, from the famous album with Gene Clark)) takes us back to 1950s country, or what I think that is. It starts off sort of horrible, but takes a right turn soon after. It only underscores how diverse this album is from the songs Mark Lanegan chose to sing on this album. Summing up, Imitations is an album that I’ve listened to regularly in the past weeks. I was intrigued as well as turned off, simply depending on my mood. Whether Mark Lanegan really pleases his fans with Imitations is a question that time will answer. It has all the signs that he had a great time making it and wanted us, the listener, to enjoy it as well. 50% score here, with positive overtones. So what remains is the dark cover of Imitations. It looks like a death announcement card. In honor to the mostly deceased singers he honors? You can listen to 'You only live twice' here.